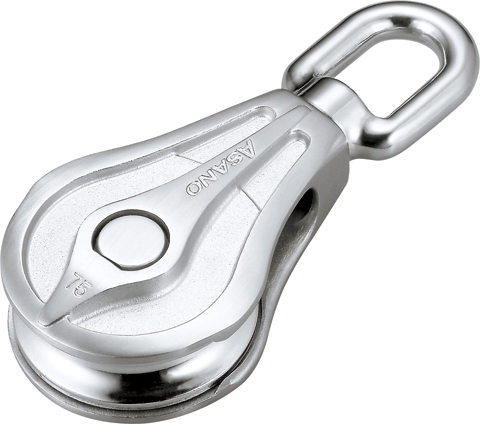 *The design of the sheave mounting prevents the rope from easily snagging. *The bolt used at the swivel joint section is a size larger as compared with the former one and strengthened. *Materials: SCS14 (Equal to SUS316), Swivel pin, Sheave pin nut. 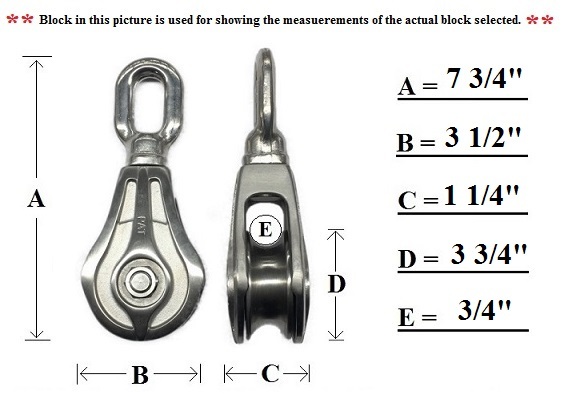 SUS304 *The working load corresponds to the working load of the bearings. *This product contains two steel bearings with rubber seal. *Nut in the center of the main body is left-hand thread.